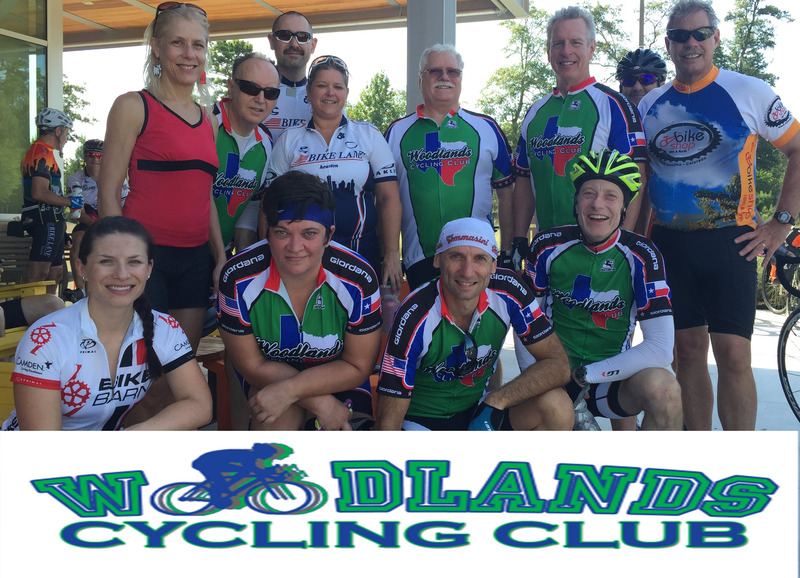 The Woodlands Cycling Club has its roots in two separate clubs joined together with a common goal. Our goal is to promote bicycling as a social and healthy recreational sport. We do our best at each club ride to ensure every member and guest has someone to ride with. The Woodlands Wheelmen was organized in 1993 to specifically promote recreational cycling. The Woodlands Cycling Club was founded in the eighties as a USCF (United States Cycling Federation) racing club and at one time was a top ranked team in the Houston-Metro area. Both clubs recognized the benefit of joining together to form a comprehensive cycling club that emphasizes a broad range of cycling disciplines. As a club our greatest satisfaction comes from new rider development where we can help someone improve riding skills and fitness levels. Don’t be intimidated by the “fast” riders, fancy bikes and flashy clothes when you show up for the ride. Most of our riders started as “beginning” riders. For many of us the memories are very fresh of cruising slowly on the Woodlands bike trails wearing a T-shirt, Bermuda shorts, tennis shoes, and no helmet. We’ve been there, done that, liked it, done more, and Ah ha!…got better! You can too….just do it. Ask the guys or gals with the fanciest bikes and clothes. The only things required are a helmet and a bike.! !